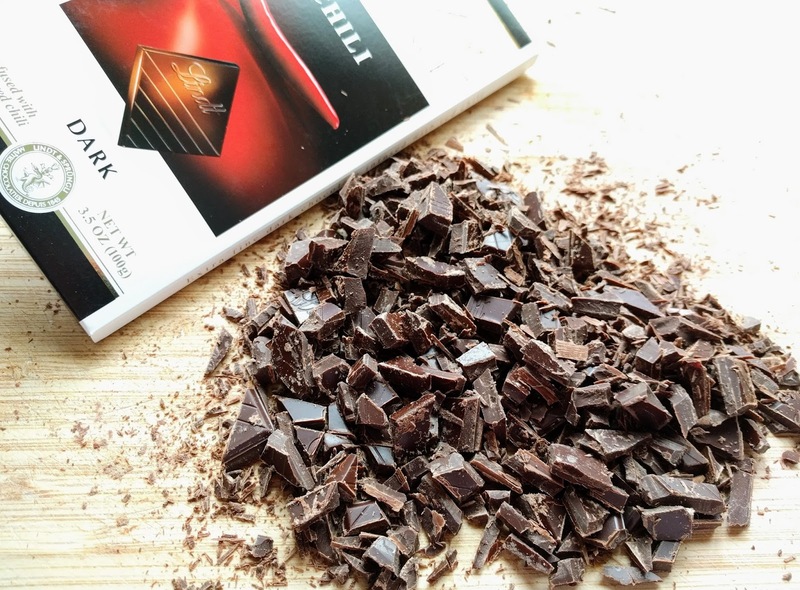 It'sImprov Challenge Cooking reveal day for February, and this month's theme let us all get really creative with chocolate and chillies (aka chilies or chiles). Yum! 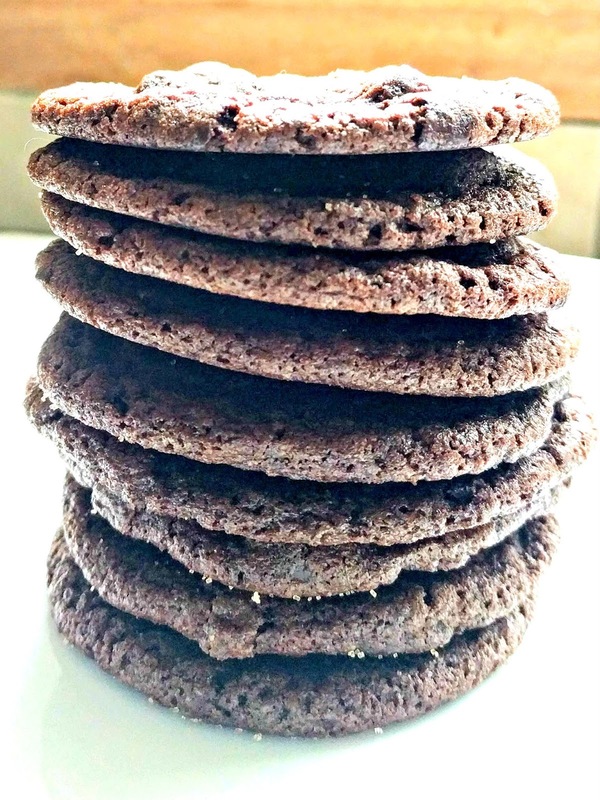 I immediately knew I wanted to make some kind of cookie so it was merely a matter of thinking and experimenting until I found the recipe that seemed perfect for the challenge. These cookies are loosely based on the memories of a bite-size chocolate and chili shortbread cookie I ate last year, but I went big with soft palm-sized drop cookies. 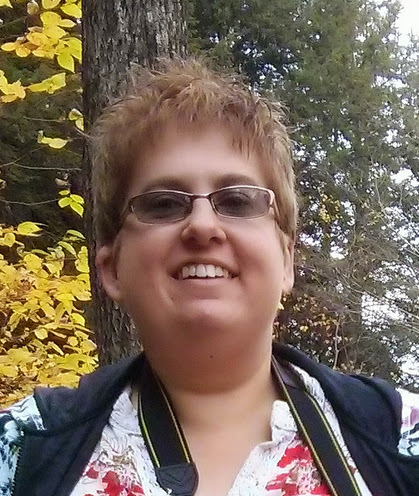 I want rich, almost fudge-y, dark chocolate goodness, with just a touch of heat and spice. Something that would pair perfectly with an ice cold glass of milk and leave you feeling like maybe you'd been a little bit naughty. I wanted to flirt with decadence without crossing the line into chocolate overload. I think I mostly succeeded with this. In the bowl of your stand mixer, cream butter and sugar until light and fluffy. Beat in eggs and vanilla. Whisk together the flour, cocoa, cayenne, baking soda, and salt. Gradually add to creamed mixture and mix well. Stir in chopped chocolate. Drop cookie dough by rounded tablespoonfuls 2 inches apart onto greased baking sheets. Bake at 350°F for 8-10 minutes, depending on how gooey you like your cookies. Immediately sprinkle with cinnamon sugar, if using. Cool for 5 minutes before removing from pans to wire racks. 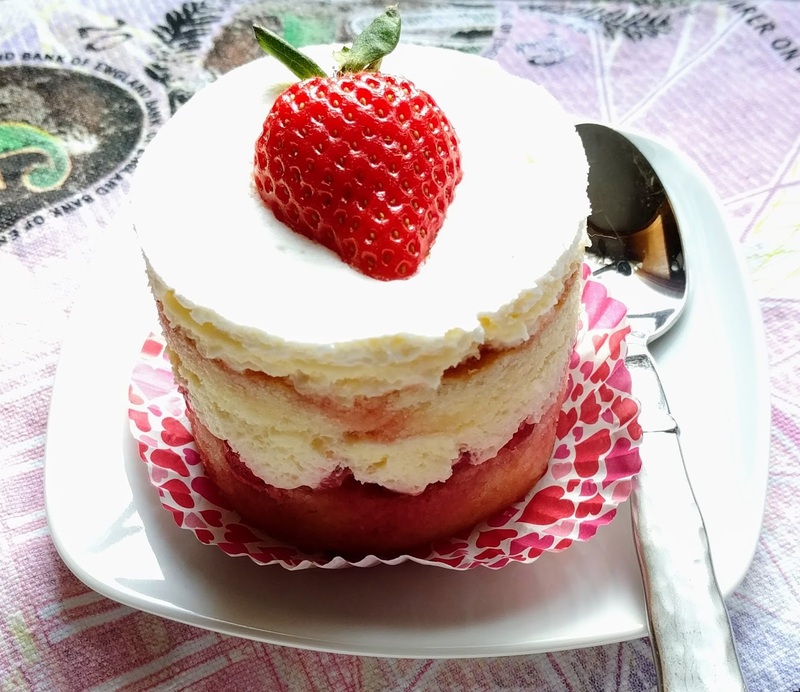 Let cool completely before eating ... if you have the patience! (The warmer the cookie, the more fragile it will be so handle with care). The Husband thought these tasted a bit like "Mexican" hot chocolate, because they're very dark with just a hint of heat and spice, and was happy to scarf them down with mugs of tea. However, if you would like a properly spicy cookie, feel free to double the amount of cayenne. Also, these are fairly soft and crumbly cookies. Brilliant to nosh on (very morish -- so if you have a weakness for cookies, be forewarned) but not suitable for dunking in a cup of tea. 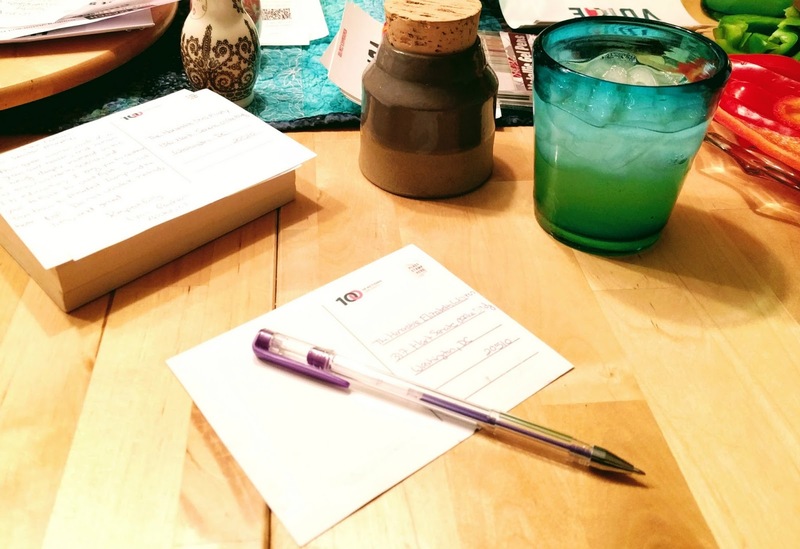 For anyone new to my blog, the Improv Cooking Challenge is a monthly blog hop where two ingredients are assigned, participants must make a new-to-their-blog recipe using both ingredients, and publish a blog post about it on the third Thursday of the month. 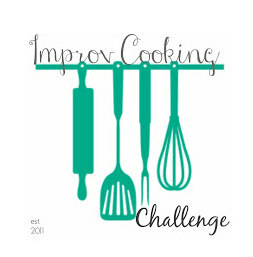 If you think that sounds like fun, click on the Improv Cooking Challenge logo below. My lovely, generous coworker gave me another meaty hambone and, of course, I immediately turned it into soup. The recipe follows the same structure as my previous slow cooker ham and split pea soup, but this time I added chopped turnip, changed the seasonings up a bit, and used just water. It was still a magnificent pea soup -- extremely flavorful and hearty (but never stodgy). Good at any mealtime, including breakfast. Combine peas, onion, carrots, celery, turnip, rosemary, thyme, garlic, and bay in slow cooker insert. Nestle in ham bone and add water until the pea mixture is covered. Cover and cook on Low 8-10 hours or until peas are tender. 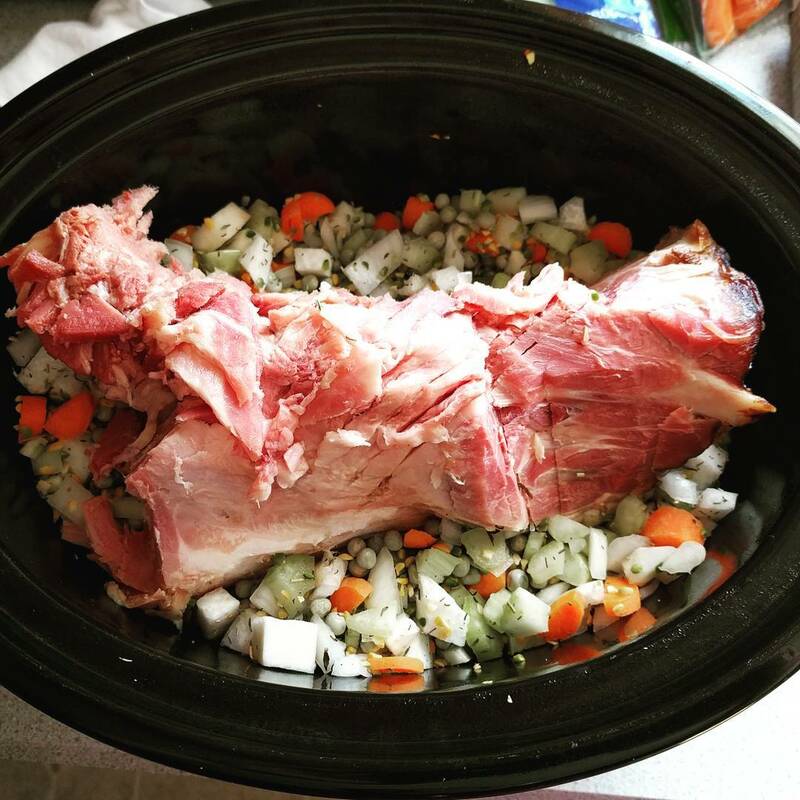 Remove ham bone from slow cooker. Pull meat from bone, discarding bone and other inedible/undesirable bits. Stir ham into soup. Add more water to soup, if too thick. Season with salt and pepper, as desired, and serve. I've only recently "discovered" turnips. 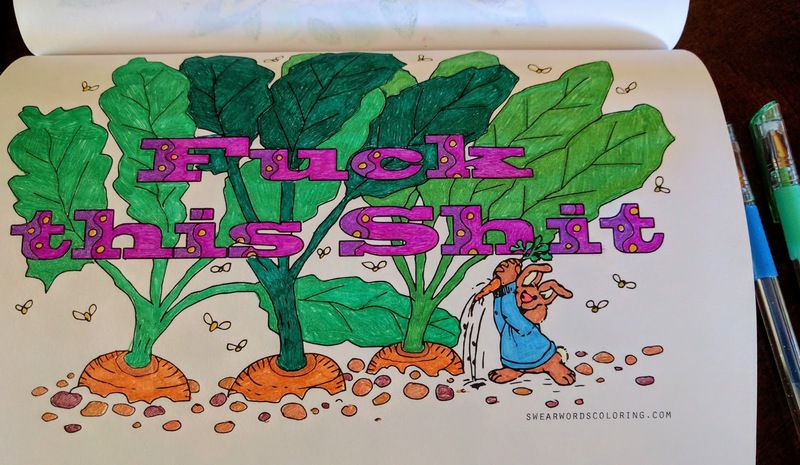 Probably because I was so resistant to rutabaga for so long -- I just lumped them in together as dreadful root vegetables. But rutabagas and turnips turn out to be delicious. Like broccoli and Brussels sprouts, turnips are in the cruciferous vegetable family and are a great source of minerals, antioxidants, and dietary fiber while being very low calorie. One of my friends uses them as a potato-substitute, as she is allergic to potatoes, and I'm kind-of tempted to try ricing a few, like cauliflower, to see what that's like. First 100 Days campaign. Because a woman's work is never done. Princess Maya's birth was the death of her mother. Raised in a court that believes her curst by the stars and accordingly treats her poorly, at best, Maya's only dream has been to survive long enough in the royal harem to become a scholarly old maid, left alone to her own devices. Then her father, the King, gets it in his head to marry his wholly unmarriageable, thoroughly star-curst daughter off to one of the neighboring countries (any one of the neighboring countries at that) to "forge peace." While Maya gets her pick of the eligible men, she still must chose one and then kill herself. For the good of all, you know. Great plan, Dad. But then ... there's betrayal. And salvation. And the quickest marriage ceremony the world ever saw. And running. And magic tapestries. And locked doors. And ... so much happens that I can't tell you about because SPOILERS. 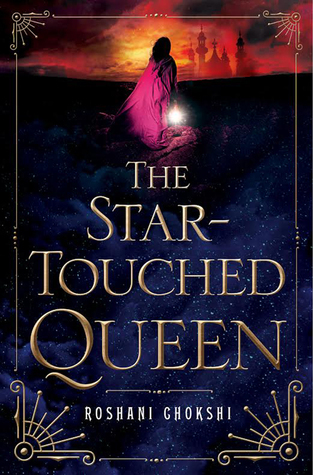 The Star-Touched Queen is Eros and Psyche, Bluebeard's Wife, Goblin Market, and a dozen other tales reforged into one darkly sparkling gem of a novel. A rich, vibrant book rife with flowery prose and secrets ... yum. Go. Read. It. (Yes, it's frequently shelved in YA, but it will please any adult lover of romantic fantasy). This is an easy dump-and-go end-of-the week dish for when you need to eat but don't necessarily feel like cooking. 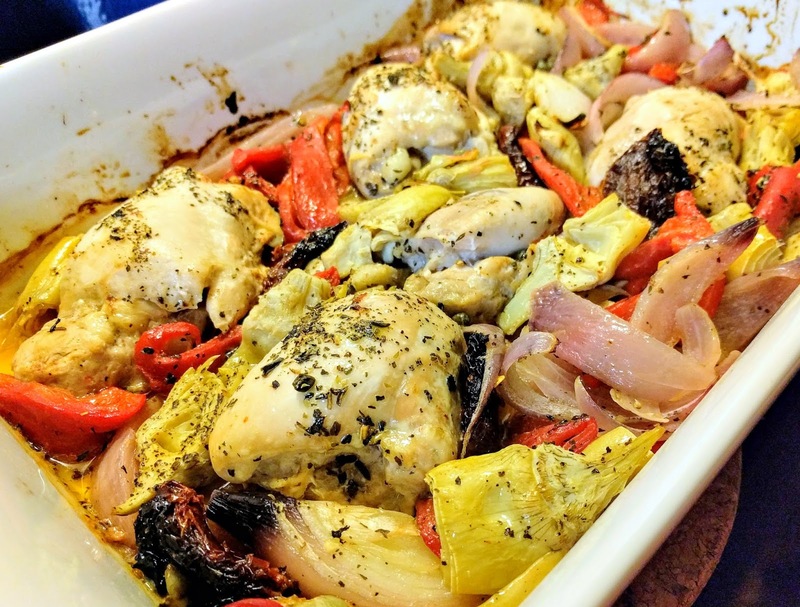 It's made up of pantry staples and takes less than 15 minutes to assemble and get in the oven. Leaving plenty of time to get on with reading James Essinger's extremely interesting Ada's Algorithm: How Lord Byron's Daughter Ada Lovelace Launched the Digital Age. Preheat oven to 425°F. Lightly brush a baking dish with a little olive oil. 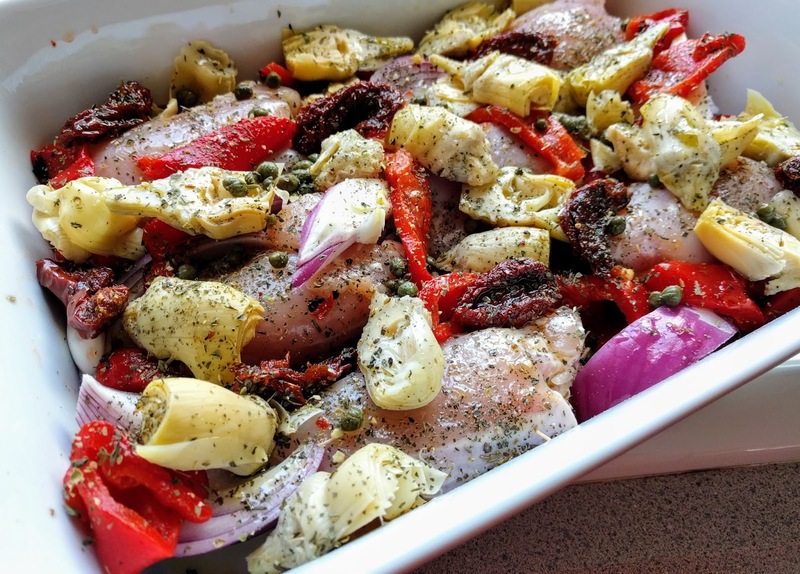 Combine all ingredients in the baking dish. Bake 25 minutes, uncovered, or until chicken reaches 165°F. 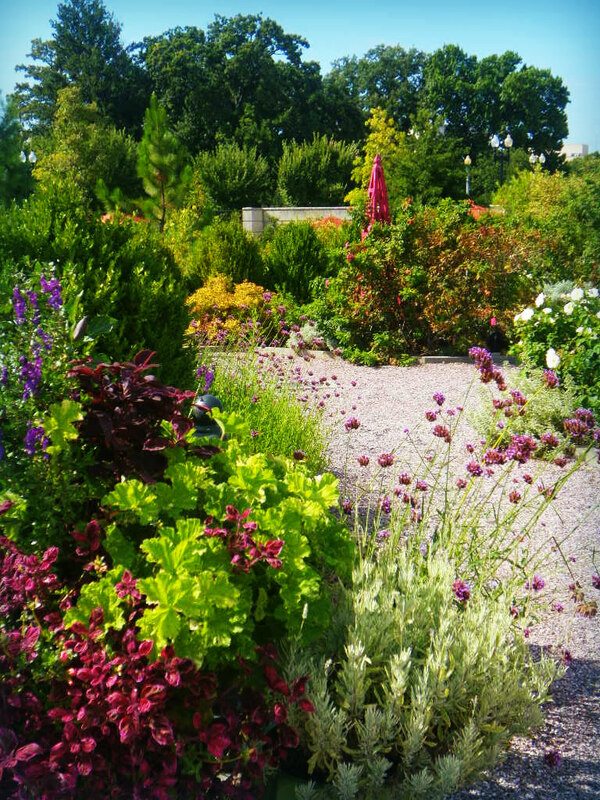 Dreaming of warmer, greener days.